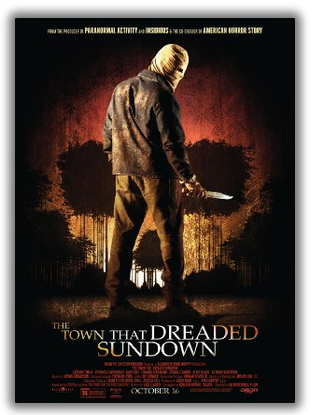 The Town That Dreaded Sundown is loosely based upon the original film of the same name released in 1976 which is loosely based around actual events. This updated version actually puts a new spin on remakes, which I quite enjoyed. Rather than just rehashing the same characters, plot, and scenes of the original film, Gomez-Rejon's modern day version weaves the existence of the original film into the 2014 version as a catalyst for a new string of murders. I was slightly hesitant about this film, seeing as it's produced by Ryan Murphy, better known for Glee and American Horror Story fame. Murphy's work is questionable - Glee started off great and went downhill very quickly and American Horror Story is teetering on the edge, especially after the disaster that was the most recent season "Freak Show." I digress. 'Sundown' is based in a town on the border of Texas and Arkansas, aptly named Texarkana. In 1946, there was a string of horrific murders over the course of three months committed by someone known only as the 'Phantom Killer', who would follow young couples into isolated areas to murder them. In reality, the killer's identity was never discovered, but the movie has a slightly different take on it. I also have to disclose that I have not seen the original 1976 version of the film, so I cannot give a comprehensive view of how both films bounce off of each other, but I will do my best based solely on the 2014 version. Every year in Texarkana, the original film is screened at the drive-in on Halloween night (this actually happens in real life) and this is where our 2014 movie begins. Our main couple in the film is introduced at the drive-in, Jami and Corey. They leave the showing to sneak off and make out in the woods in their car. They are quickly approached by a creeper with what looks like an ace bandage on his head who bashes in their car window, chases them for a bit, then kills Corey. He tackles Jami as she tries to run and tells her, "This is for Mary. Make them remember" and then lets her live, as she crawls back to safety under the drive-in movie screen, causing the crowd to scream and run to aide her. As a funny side note, Gary Cole and Anthony Anderson play the deputy and ranger in the town, which is pretty hilarious to me. Jami's grandma gives her some history of the Phantom Killer from the '70s and we learn that the aforementioned Mary was one of the original victims. The movie then progresses through a series of murders of different couples, one being a veteran coming home and reuniting with his girlfriend in a hotel room, another being a gay high school couple. The murders are definitely unique, I will say. The vet gets his head cut off and smashed through a window and one of the high school boys gets a knife to the back of the head attached to a trombone. Why, I don't know, but it was kind of funny in a WTF type of way. I feel like I might've had to have seen the original to fully grasp that one. Anyway, Jami does some research in the archives and makes a little boyfriend out of one of the workers there and receives a creepy Zodiac-esque manifesto but through email rather than news bulletins, since this is 2014 and all. The police aren't very receptive to her concerns, so Jami decides to take matters into her own hands. She and her boyfriend, Nick, go visit the son of the director of the original film, Chuck Pierce Jr. and he tells them the story of a man, Hank McCreedy, a victim of the Phantom Killer whose body was found on the train tracks cut up into pieces. We discover Mary was Hank's pregnant wife and Pierce thinks the new Phantom Killer may be the grandson of the McCreedys, angry that his grandfather's death is not remembered and honored by the town of Texarkana. After a few more deaths in the town, Jami's grandma freaks out and says she and Jami are going to move to California to get away from it all. But of course, before they can make it to California, there's a good old fashioned shoot-out and chase scene at the town gas station at the conclusion of the movie. Jami is chased by the Phantom Killer and quite literally takes an arrow to the knee (a Skyrim nod, I'm presuming) and an arrow to the chest before finding out the TWIST identity of the killer. I will tell you though, it's somewhat of a letdown. The remake of The Town that Dreaded Sundown received overall favorable reviews on Netflix and Rotten Tomatoes, but here I come to be a Debbie Downer. I didn't really like it. I didn't really hate it. I'm basically indifferent about it for a few main reasons. The movie, excluding credits, was only an hour and twenty minutes long and although it seemed to go by fast, it also felt like the entire storyline just dragged on with rare spurts of excitement that were here and gone far too soon. 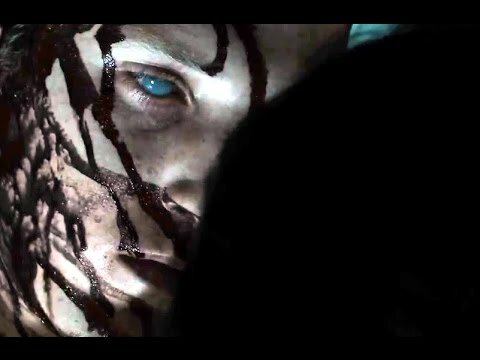 The murder scenes were unique and gory but extremely quick and over in a flash before you could truly feel any build of anticipation. There were no surprise death scenes - every one was lined up and predictable. Essentially anytime you saw two people together that were in any various stage of undress or intimacy, you immediately knew they were going to die, the man first followed by the woman. The thing I will say about this film is I enjoyed the incorporation of the original film and the nods given to it throughout the film. There was even footage of the original movie spliced into certain scenes and the cops were able to trace where the deaths would be taking place based on the killer following the trajectory of the deaths in the original movie. I liked that they incorporated the character of the director of the original film, weaving fiction and reality together quite seamlessly. 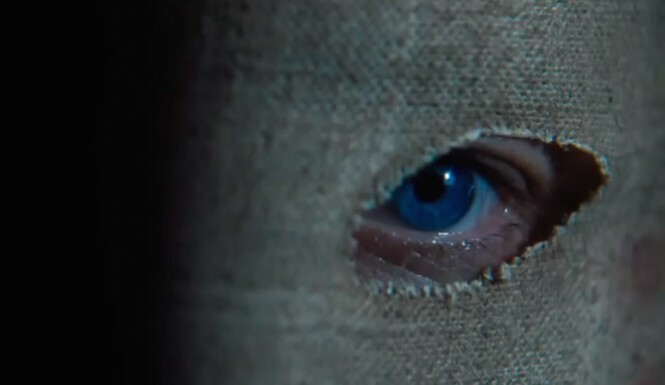 Overall, I would definitely say give this film a shot if you want something to do on a weeknight, but don't expect too much excitement or any actual fear to be gained from it. It's a modern day twist on a vintage slasher that seems to hold the test of time and wasn't f'ed up too badly by Ryan Murphy but wasn't truly given the glory it maybe could have had. But it does get ten points for killing someone with a knife attached to a trombone. Really, that's pretty epic.